When Amazon announced the idea of delivering the products using autonomous drones, it sounded over-ambitious and even absurd to some people. However, the company pretty much delivered and even devised a proper system to protect its drones. 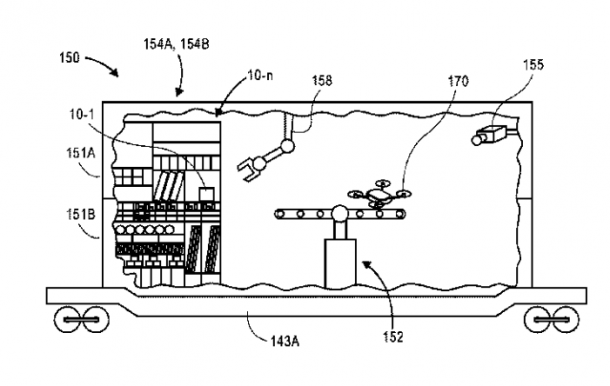 More creative ideas by Amazon are warehouses under water and even flying warehouses. The implementation of these ideas may be far ahead into the future, but Amazon has just come up with another eccentric idea of making mobile drone delivery stations that can operate on other planets as well. Intermodal vehicles may be loaded with items and an aerial vehicle, and directed to travel to areas where demand for the items is known or anticipated. The intermodal vehicles may be coupled to locomotives, container ships, road tractors or other vehicles, and equipped with systems for loading one or more items onto the aerial vehicle, and for launching or retrieving the aerial vehicle while the intermodal vehicles are in motion. The areas where the demand is known or anticipated may be identified on any basis, including but not limited to past histories of purchases or deliveries to such areas, or events that are scheduled to occur in such areas. Additionally, intermodal vehicles may be loaded with replacement parts and/or inspection equipment, and configured to conduct repairs, servicing operations or inspections on aerial vehicles within the intermodal vehicles, while the intermodal vehicles are in motion. The idea of launching drones from moving vehicles is not new as UPS has already tested these delivery drone trucks. However, Amazon’s patent calls for a better idea. Amazon made its ambitions of making drone delivery public a few years ago, but the technology has not matured enough to be deployed everywhere without severe glitches. Add that to the fact that tech companies file hundreds of patents to their names every year but only implement a very few. 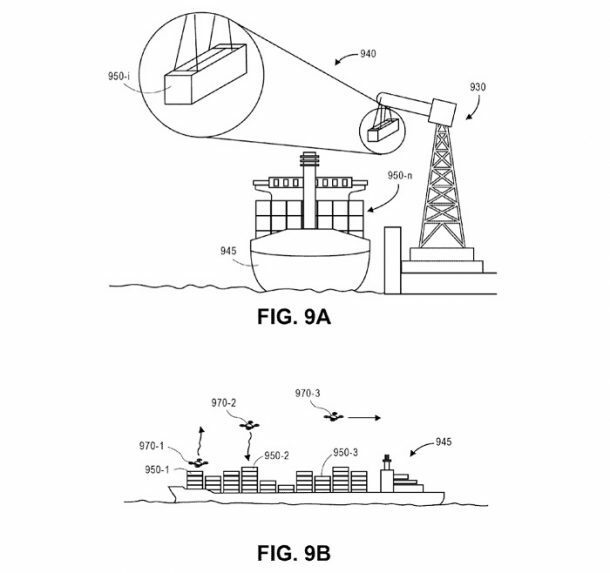 These patents, however, do give an idea what kind of problems are arising with the drone delivery program and what could be the potential solution to these challenges. The company previously filed a patent for street light poles that can serve as charging stations as a part of their drone delivery project. In the future, the drones may even scan your house and then suggest you products on the website in the form of advertisements. You can read the entire patent at the United States Patent and Trademark Office website.